CTS was proud to present another educational community evening. Piotr Ulmer, MSPT, co-owner and founder of CTS and Certified Gluten Practitioner delved farther into the topic of gluten and discussed “The Hidden Dangers of Gluten”. 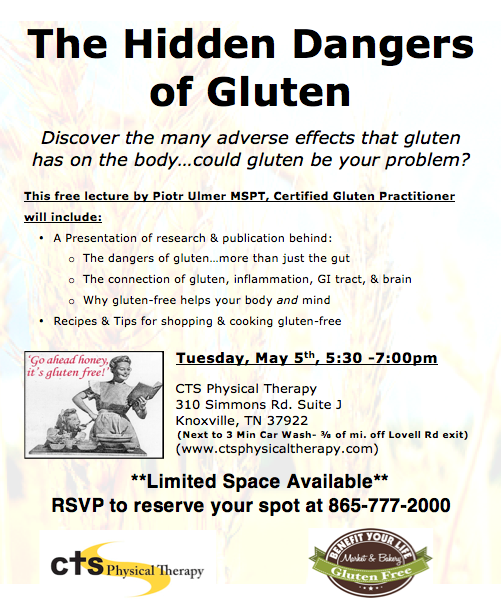 Gluten is often misunderstood and many people might have a sensitivity to gluten without even realizing it. Ulmer discussed these issues and offered information on Gluten and the many hidden dangers often associated with the presence and consumption of this powerful protein, including the damaging effect that gluten can have on the gut and in turn, the rest of the body.